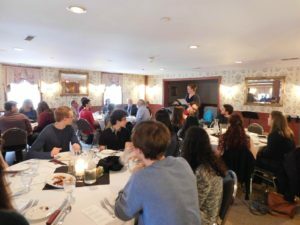 Medieval Studies at Geneseo held a Medieval Banquet at The Yard of Ale in Piffard, New York on Friday April 21, 2017. 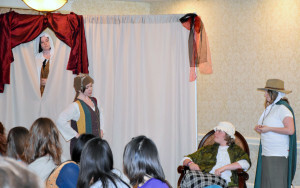 More than fifty guests gathered for medieval food and musical entertainment by Medieval Studies minors Matthew Burley and Noah Chichester (joined by fellow Geneseo Chamber Singers Erica Milliman and Gretta Cavatassi) and an early music group convened by Professor James Kimball (Music), with vocals by Professor Beverly Evans (French). The Medieval Banquet is made possible by generous support from the Office of the Provost, the Departments of English, History, and Languages and Literatures, and the Office of Student Life. 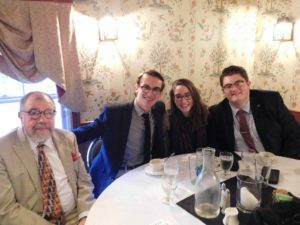 Medievalists from the Geneseo community and beyond gathered at The Big Tree Inn on May 2, 2016 for a Medieval Banquet. 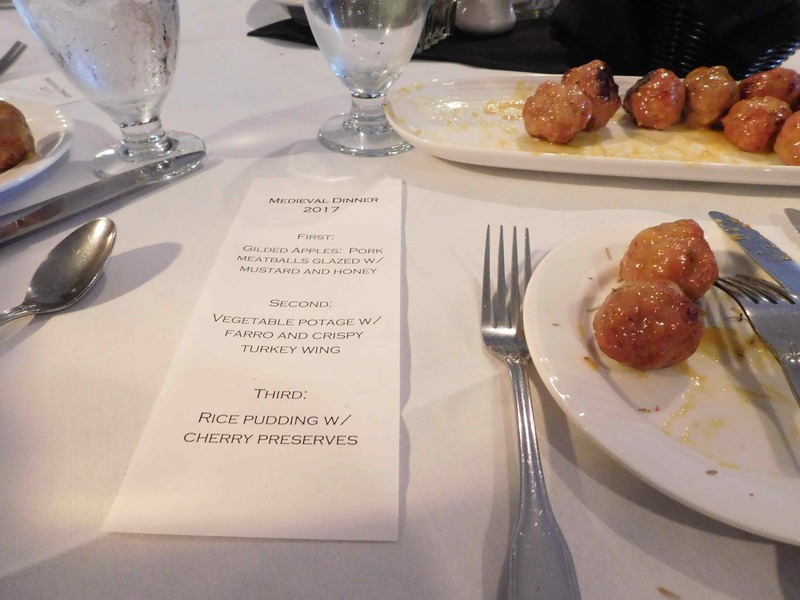 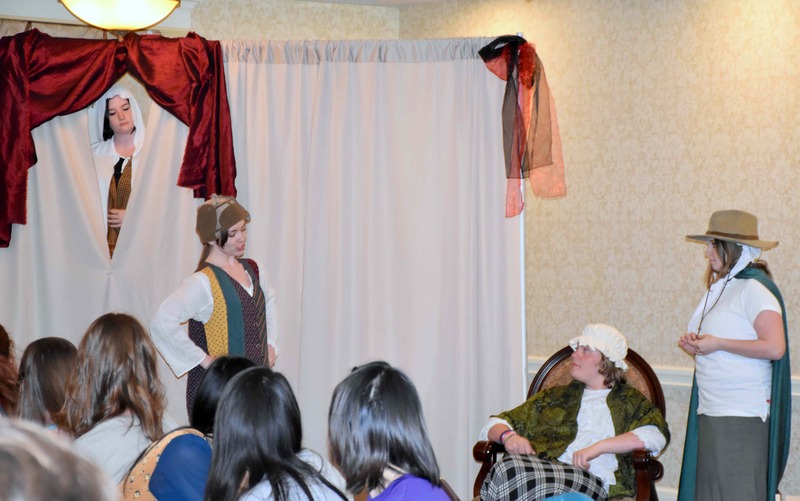 Students in the Medieval Studies Minor performed excerpts from Chaucer’s Wife of Bath’s Prologue in Middle English, musicians performed early music on period instruments, and the chef prepared a medieval-style meal. 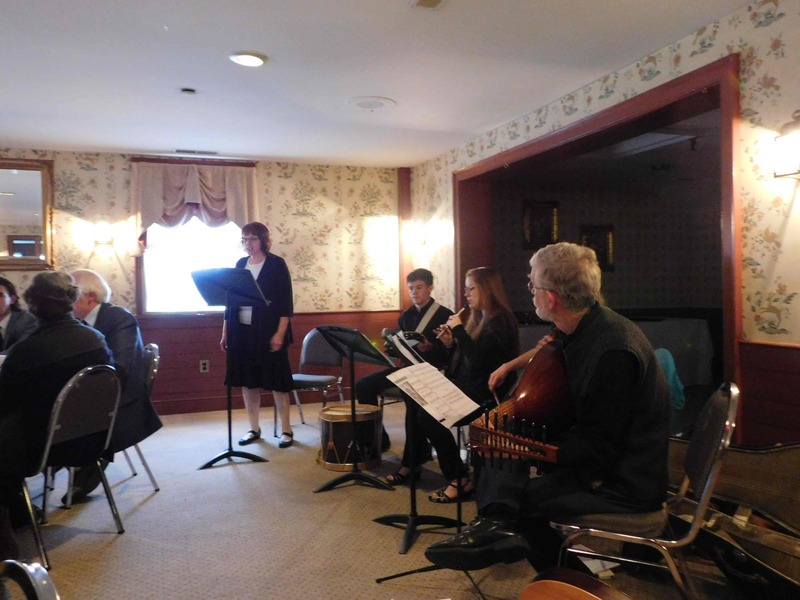 Many thanks for the generous support of the Office of the Provost and the Departments of English, History, and Languages and Literatures. Geneseo students, faculty, administrators, and community members gathered at The Big Tree Inn on May 4, 2015 for a Medieval Feast. 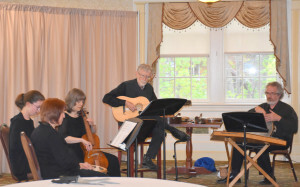 Actors performed a scene from the Chester Noah’s Flood, and musicians performed early music on period instruments. 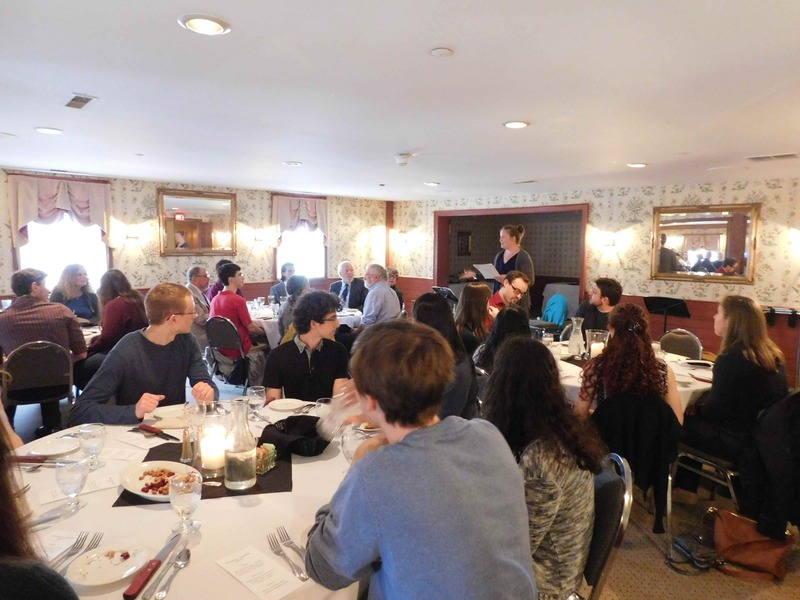 Thanks to the Office of the President, the Office of the Provost, and the departments of English, History, and Languages and Literatures, as well as individual faculty member donations, for making this event possible.